Global Hot Rookie, VAV has appeared in Music Bank. Last 19th midnight, VAV released their 4th mini album ‘THRILLA KILLA’ and had come back stage through national TV music program, Music Bank of KBS2 on the 22nd. 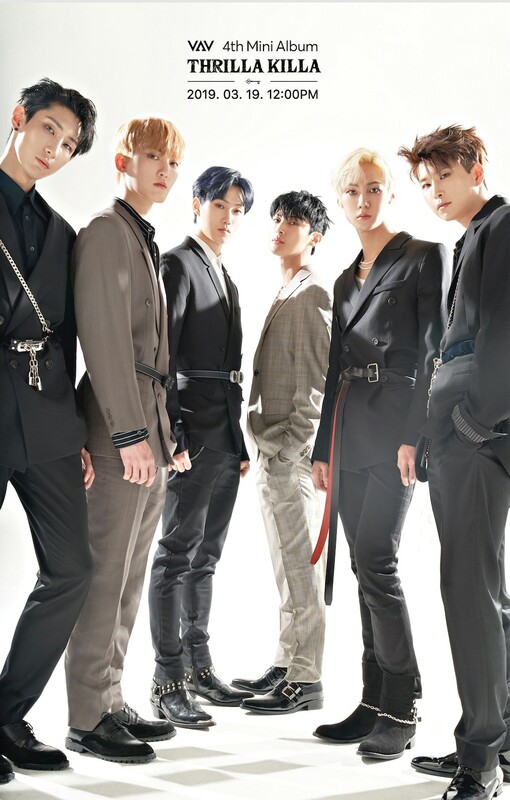 VAV has announced their official comeback by releasing their new ‘THRILLA KILLA’ album in about 4 months after their single album ‘Senorita’ during October last year and has predicted that they will be showing more masculine and provocative charm through this album. Especially on this album, it contains tracks with various and colorful music of VAV’s own color such as first self-produced song as well as the title track produced by the famous Swedish producer Hitmanic and together with the hit song maker Ryan Jhun, which gathers the attention of the public. The title track ‘THRILLA KILLA’ presented in Music Bank, contains the meaning of ‘fatally attractive person’ where no one can get out of the attraction of himself, and the strong and attractive sound with the Homme Fatale of VAV created harmony which has captivated the eyes and ears of the female fans at the same time. Meanwhile, VAV will continue their comeback activities by appearing in various music program with their title track ‘THRILLA KILLA’.